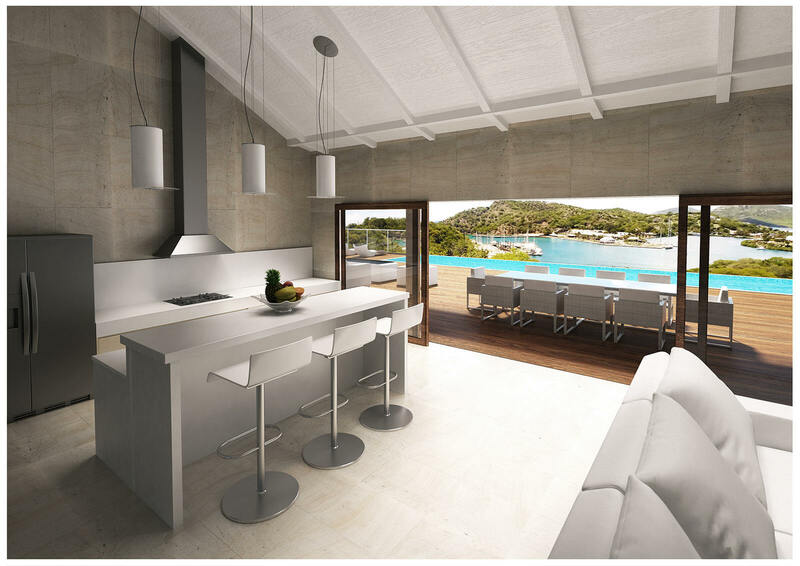 London 3D Design | 3D Architectural Visualisation, Villa in Antigua. London, UK. 3D architectural visualisation by Natalie Savage. 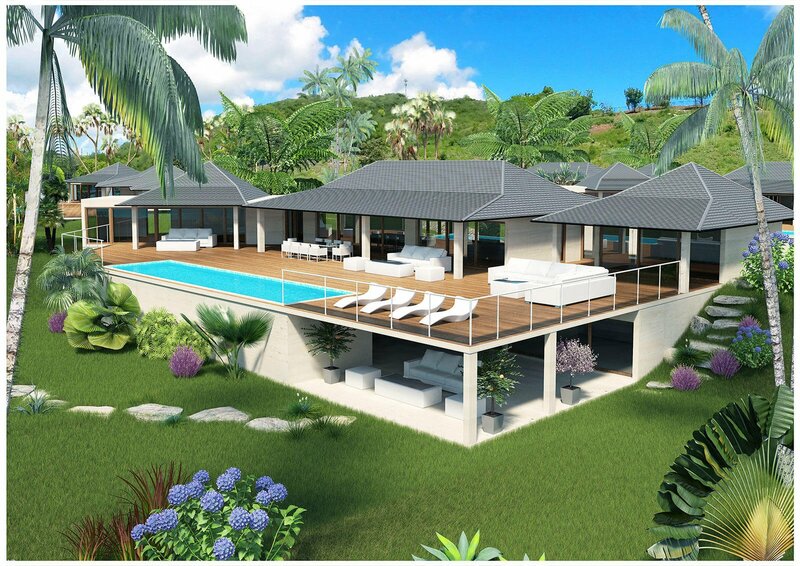 Antigua project: 3D modeling and visualization of villa in Antigua. 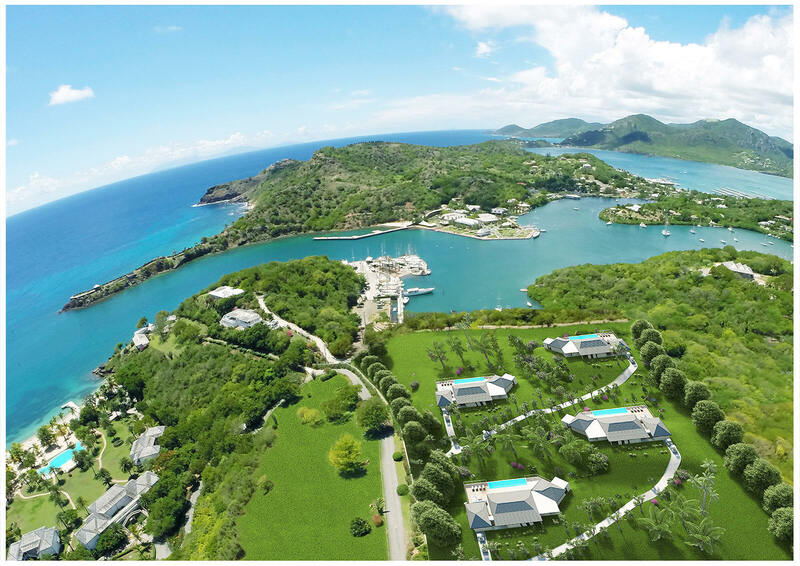 My client was preparing a presentation for the investors to build 4 villas in Antigua. He had photos of land and a basic architectural plan for a villa. 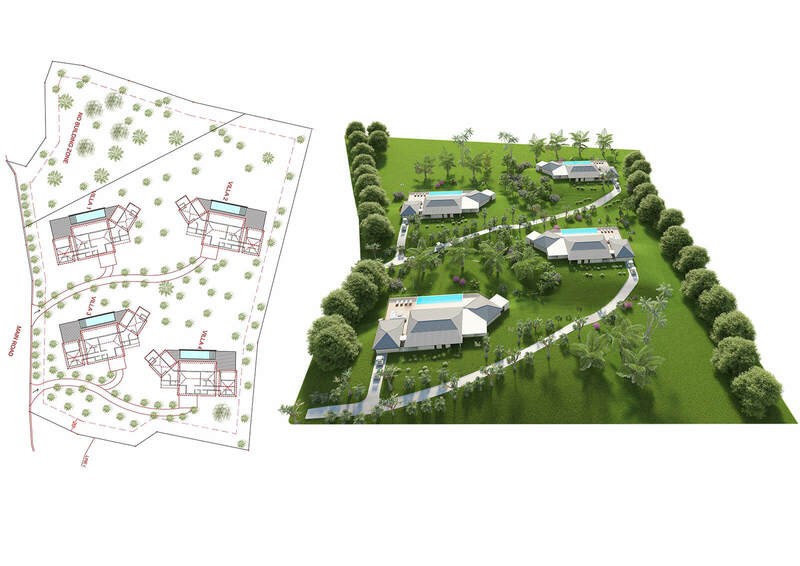 My job was to make 3D modeling and 3D visualisation of one villa and also to make a “bird view” image with villas on the existing land. As well as a basic 3d visualisation of an open plan kitchen.